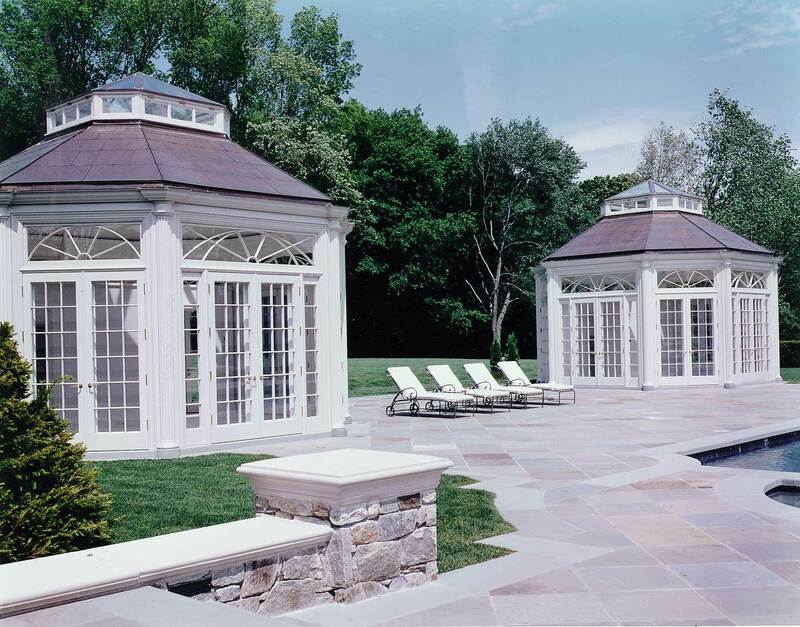 A pair of pool pavilions for an existing estate in Greenwich, Connecticut. 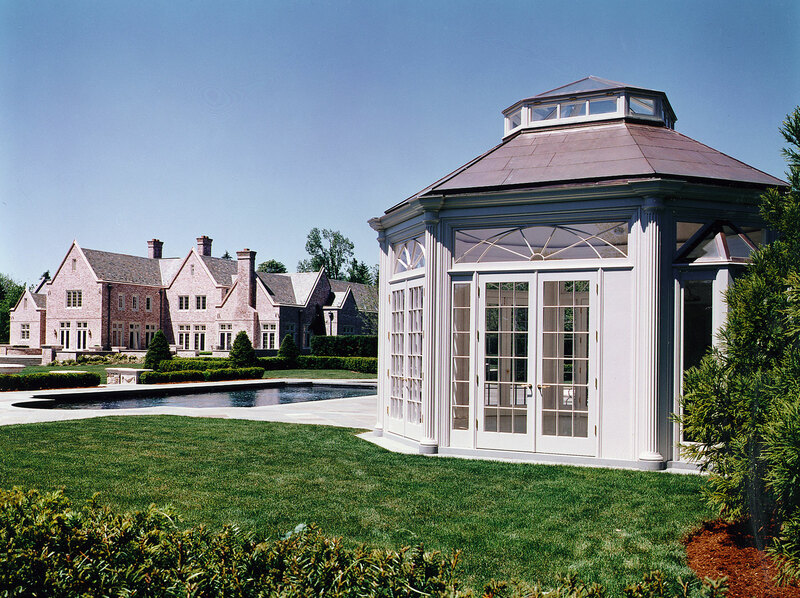 Each is 625 square feet, one a children’s playroom, the other, guest quarters with a bath and changing room. 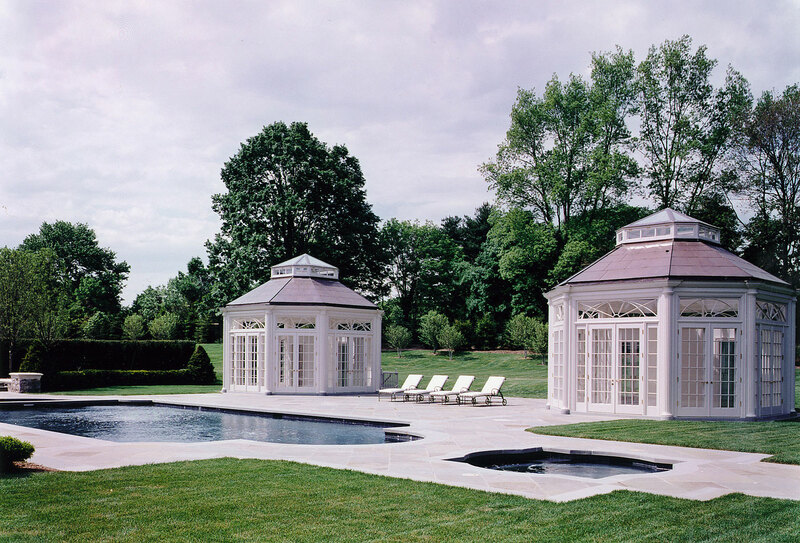 They were designed to be in keeping with the existing manor house, with generous doors opening to the garden and pool. 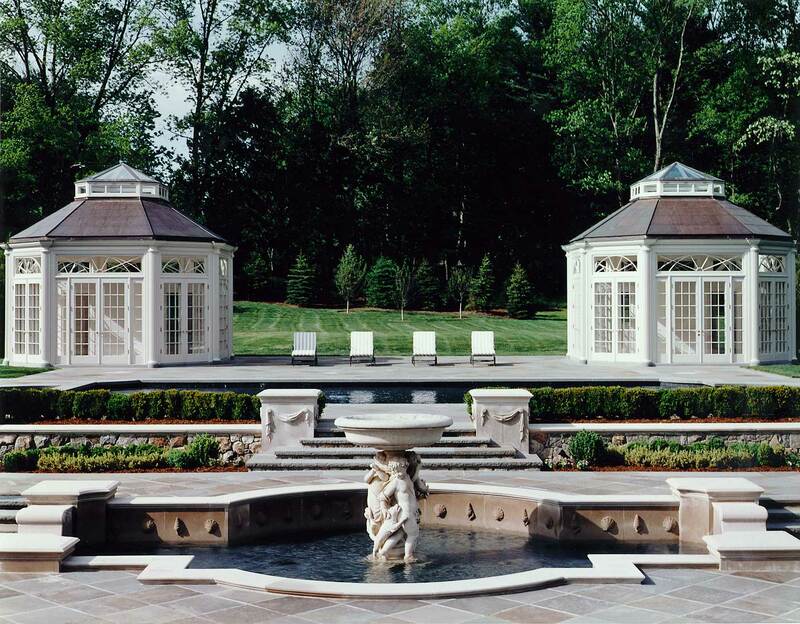 Each pavilion has bathing areas that open onto private gardens.